Tinie Tempah has revealed his New Year's resolutions and they focus on getting in shape for his new clothing range and so he can get his flex on during gigs. 1. To get in shape so that he can rip his shirt off during the summer festivals. He said: "There were occasions during the festivals last year when I wanted to take off my shirt, but the time wasn't right. I've been going to the gym learning to box, by Summer I want to be in tip-top shape." 2. Make a success out of his new clothing line. The Pass Out hitmaker and his management company Disturbing London have collaborated with label MHI to create a London-inspired range and he's really excited about it. Tinie said: "The clothing line is something I'm looking to launch in a big way. I'm working 24/7 on it. "I want people to walk into a shop and not immediately think, 'Tinie Tempah', but think, 'That's a nice shirt' or 'That's a nice tee. Basically I've tried to make it into a standalone brand, like Folk, Joe Casely-Hayford or House Of Billiam. There's a lot of creative designers in the UK we should support more." 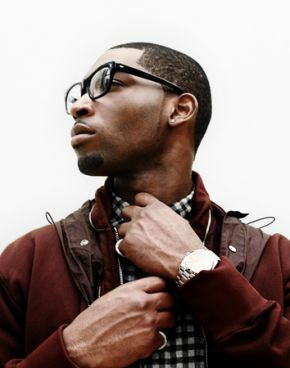 But while rappers including Jay-Z, Kanye West and Nelly have successful clothing lines, Tinie is keen not to be seen as following in their footsteps. He said: "We're working on our own brand but I really want to stay away from that whole hip-hop cliche - 'he's a rapper turned fashion designer, turned actor turned property developer'. "Basically I've tried to make it into a standalone brand, like Folk, Casely Hayford or House of Billiam. There's a lot of creative designers in the UK, we should support more."